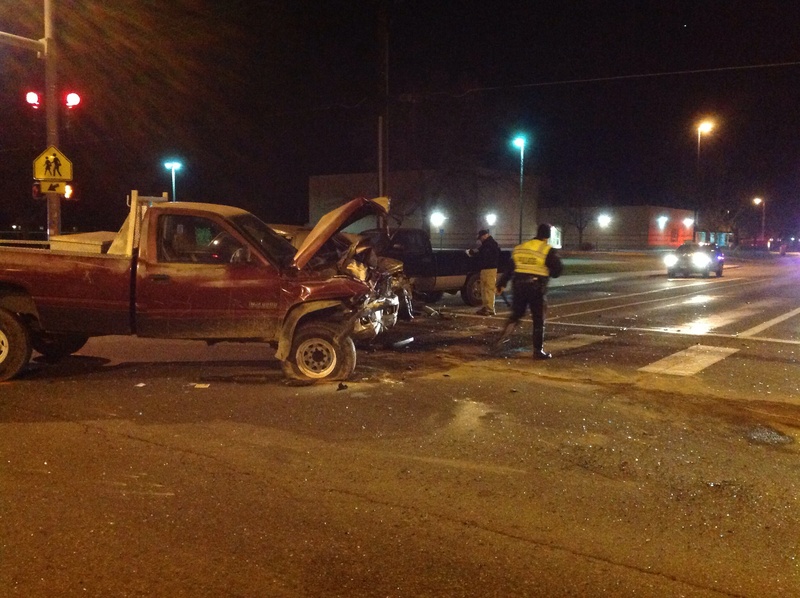 The intersection at 25 1/2 Rd and Patterson Rd reopened at approximately 9:45 p.m. The Grand Junction Police Department is investigating a serious injury crash that happened in the intersection of 25 1/2 Rd and Patterson Rd at about 6 p.m. this evening. At this point in the investigation we believe the driver of a van turned left in front of oncoming traffic on Patterson and was hit broadside by a driver in a pickup truck. The van then hit a second pickup truck that was on 25 1/2 Rd. The driver of the van went to the hospital by ambulance with what appear to be serious injuries. The driver of the pickup that stuck him has what appear to be minor injuries. The intersection is closed with the exception of one westbound lane of Patterson. It will likely remain closed for about another hour. We are still investigating this crash. At this time we do not suspect alcohol had a role in the crash. This entry was posted in GJPD News and tagged crash, grand junction police.